Use the m and n sliders to translate triangle ABC. 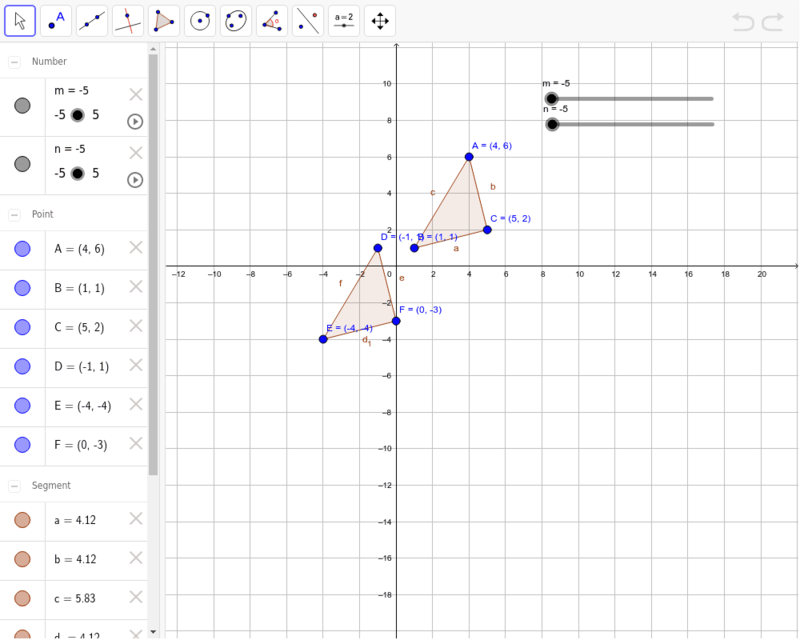 The m slider moves the x-value for each vertex, and the n slider moves the y-value for each vertex on the triangle. For each translated triangle, think about what happens to the x-value and y-value for each vertex. Does the new triangle follow a "rule" when translating the triangle?